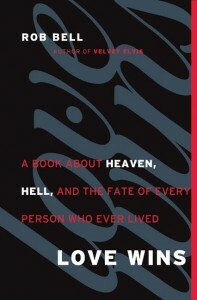 Check out this great new -- FREE -- e-book resource: Renew52. 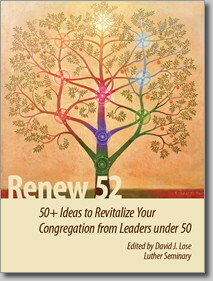 It's 50+ ideas for revitalizing your congregation, from leaders under the age of 50. The list of contributors is beyond stellar, and these are thoughtful essays you can use to catalyze a committee discussion, inspire your council, or just nurture your own spirit. 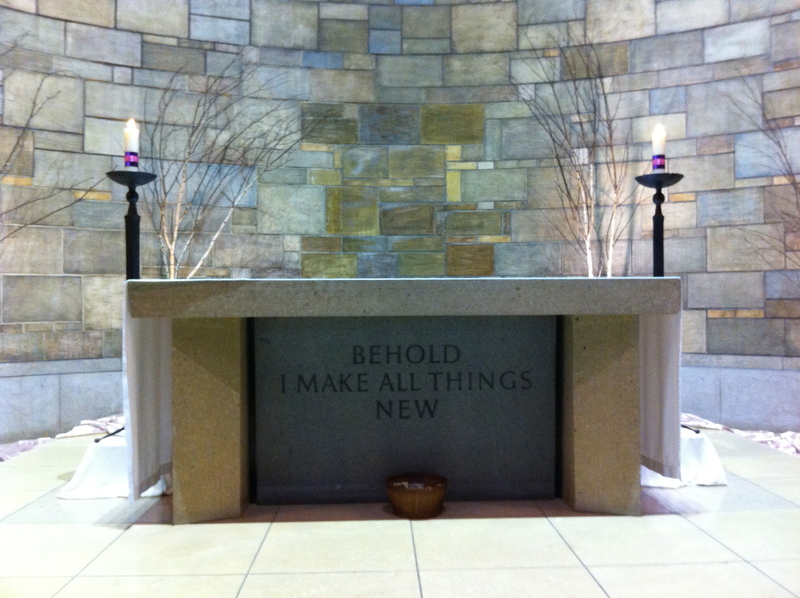 Do denominations have a future? We've noted, in a previous post, how much attention seems to get paid to "numbers" -- at least in terms of the number of people who show up in church on a given day. Here is another reflection, this time by David Lose, asking what we're counting. I remain curious: what does it mean to be missional? How can we hold ourselves accountable to that goal? Do numbers matter? If so, which numbers and in what ways? Let us know what you think! I'd argue the single most significant cause of decline is far simpler: most seminaries are training leaders for a church and world that no longer exists. Lose references Alan Roxburgh and Fred Romanuk's book, The Missional Leader, and the three zones that organizations and their leaders dwell in: the emergent, the performative and the reactive. Displaying 1 - 5 of 6 blog entries.